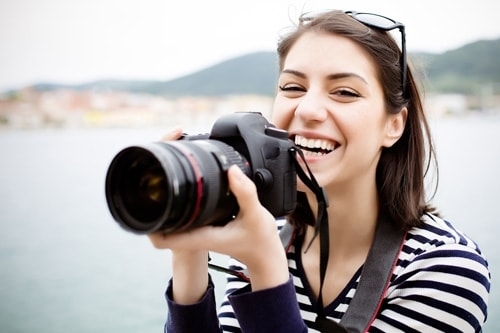 Looking for ways to make your photography business more visible online? These ten tips will help you get started. The type of photos you take define the sort of photography business you are into. 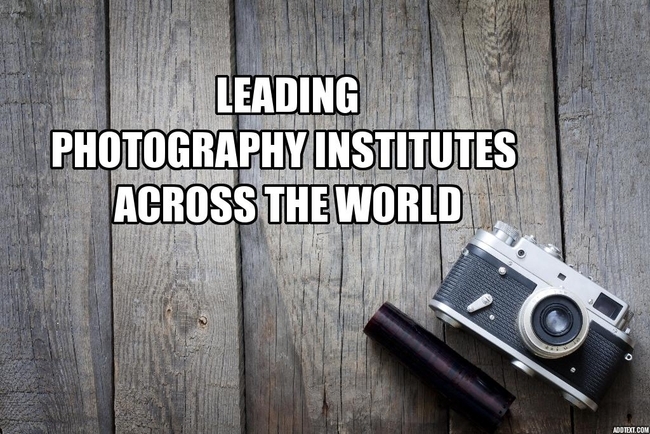 There are performance photographers, fashion photographers, wedding photographers and more. Which one are you? Do you adhere to only one business type or do you have many? For all the genres of photography that you do to make a living, you should have a small collection of your best shots. These are the shots that will be the face of your business, the shots that people will see when they visit your website or business page on any social media channel. It is always recommended to update your collections once you have better photos to replace the older ones. The very first thing that any photographer does is make a Facebook business page, and an Instagram account, followed by more elsewhere. However, the trick is to find the platforms that work best for you and devote a little more energy there. Facebook already has thousands and thousands of photography pages, and a lot of good photographers do not get enough views, and their pages get lost this ocean of photography pages on Facebook. Both hobbyist and professionals have Facebook pages. Now, since you are professional, you need to have your page stand out and be different from the other amateur and hobbyist photographers. Give it a simple name – it could be named after you only, but don’t go over the top. You can put up your best shots on your page. Since it’s business, you should also add contact information and contact timings, your business location and all other related info. Share the page with your close friends and tell them to invite others too. Once you have over a hundred or more followers, you can bring Instagram into the picture. Make sure that your Instagram account and Facebook Page has the same name and that people can find one from the other. Now, Instagram is more of a complimentary platform. Use Facebook as your primary platform since Facebook has a lot more people. Use Instagram for instant or behind the scene shots. Also, you can showcase some mobile photography too. You surely will upload photos from your cameras on your Instagram account occasionally, but use Instagram primarily to showcase the things that you can’t always do on Facebook. Use Instagram to add a different perspective to the story. In this way, you will get your followers to follow you both on Facebook and Instagram as they will find different but related content on the different platforms. To take your Instagram account to the next level (and save heaps of time) you need to use an Instagram scheduler like Hopper HQ. This means you can upload, manage and schedule your photos to Instagram in advance, all from your your desktop! Pictures speak a thousand words. But then again, on social media writing is very important when it comes to the photography business. A photo with a proper caption engages more users and can tell a story better than just the photo itself. So, when you upload a photo on your Facebook page or Instagram account, write a couple of description text or captions. Blogging is another way to build your online presence and get eyeballs to your portfolio . Once in a while, you can write blogs about that trip you took or an event that you enjoyed shooting. Add the photos so that people can see those too and make sure you link the blog to Facebook and Instagram. Tutorials are also a good way to showcase some of your distinctive works. These are timeless content that will always have readers. You can also go one level higher and consider adding videos to tutorials. Having a YouTube channel only makes sense if you are making occasional tutorials. Vlogs do not attract as many viewers as tutorials do. Also, if you make time-lapse or hyper-lapse videos, then too you can go to a YouTube channel. They are a great way to get more viewers and earn from YouTube too. This is probably one of the most important points. No matter how simple it is, make sure that you have a website for your business. Put in your business details, contact information, a small note about your or the business and showcase some of your best works there. Nowadays, it does not even need a professional web developer to custom design sites. Pixpa’s Portfolio website builder enables you to create your online portfolio exactly the way you want. Now that you have multiple social media accounts and your own website make sure that all of them are interlinked and that people can find each of them easily. Make sure your website has links to your Facebook page, your Instagram account, your blog if you are blogging using a different platform, and your YouTube channel. Also, in each of your social media accounts, add links to your site and other social media accounts. Share content from one platform in other, such as sharing your blogs on Facebook so that people know you are active in all of them. Allow your viewers and followers to share your work on other social media. Add sharing buttons to your blog and websites so that the content can be easily shared. Promote your photos, make them available for prints on canvas, as framed photos, or even coffee mugs, if you want. This will create a better exposure of your business. This is probably the most difficult part – maintaining all those online accounts all at once, being active everywhere. If you are the only person in your business, then maybe you can take some time off and make at least one update daily. Alternatively, you can always have someone else to help you manage your business online once it has grown enough. 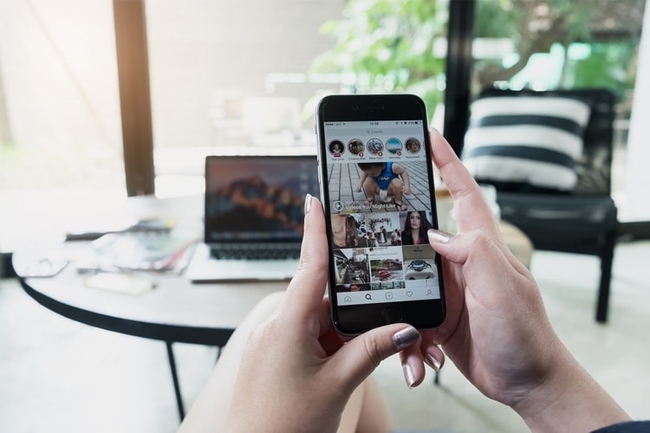 There are a lot of social media management tools available now that can make your life easier when it comes to managing multiple social media profiles. Most of these tools let you create posts and publish them on multiple platforms in one go. You can also create posts in advance and schedule them for later. Check out this list of the top 20 social media marketing tools. 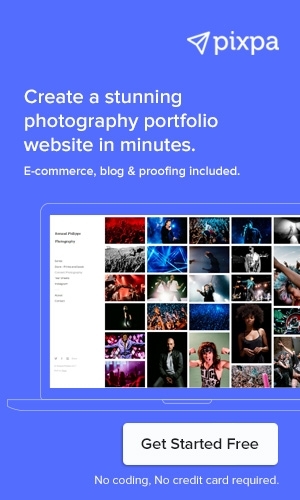 Create your stunning photography portfolio website on Pixpa easily. No coding required. Get started for free.